We spent our first weekend of October at the Texas Renaissance Festival, thanks to a sweet invitation from some of our closest friends. It was a fairyland of beauty, in a pocket of lush trees and whimsical flower vines that dressed a 16th century British themed village. The dreamy woodland swings and the ethereal attire were some of my favorites, while the outdoor play and the jousting tournament were exciting moments for the kids. With the amazing experience that we had, the entire event ended up being the perfect festival to kick off this month of Fall celebrations. From here on out through November, festivals and market events are filling up the weekends. 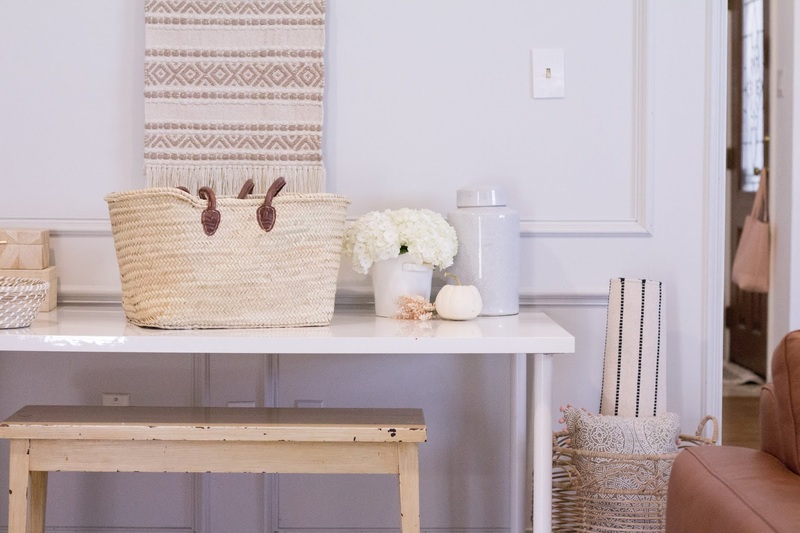 So, I thought it would be the best time to chat all about market baskets and tote bags! If I haven't already talked your ear off about them! 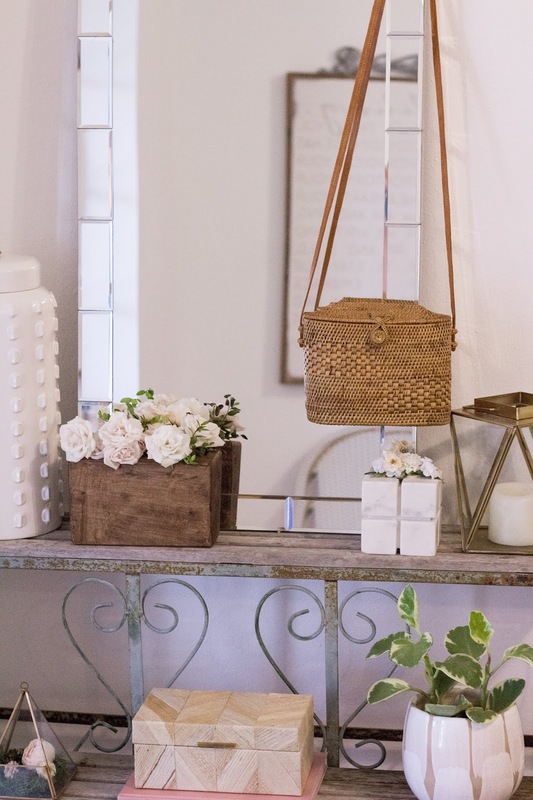 They're that special carryall that so easily stores all the pretty home goods and trinkets that you'll be collecting along your fun adventures ... and that includes the pumpkin patch and apple picking at the orchard! Some of my avorite styles include woven, circle, and drawstring tote bags. Navy is actually a favorite color of mine this Fall in accessories, so I love that Longchamp has one of my favorite totes in this classic rich color. Are there any Fall events you plan on attending this month or next?! I'd love to hear all about them in the comments below! Have a lovely week everyone! In the blink of an eye, September has come and gone and here we are in October, admiring the leaves shifting in hue and the warm afternoon glow. There have been bursts of cooler air, with pecans sprinkling at my feet, convincing me that the feeling of Autumn will soon be here. So, while I anxiously wait, I'll festively prep the house with Autumn decor! 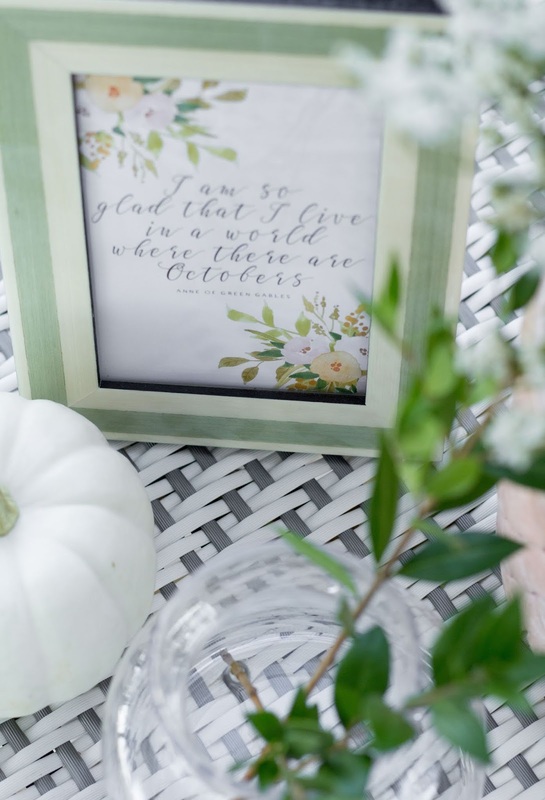 When I think of decorating for the season, I envision the feeling, the smells, and the traditions of old and new that our family share together each year. There's a sense of easiness that I get with Fall, as if nothing is too overdone, with earthy tones that compliment one another. It's where we enjoy bringing the outdoors in, while creating a comfortable and cozy home in preparation for Winter to begin. I have the most fun welcoming in the festive colors of Fall through pillows upon pillows. Rust tones, paired with greyish greens resemble a mix of fall leaves with my favorite pumpkins, Jarrahdale's. 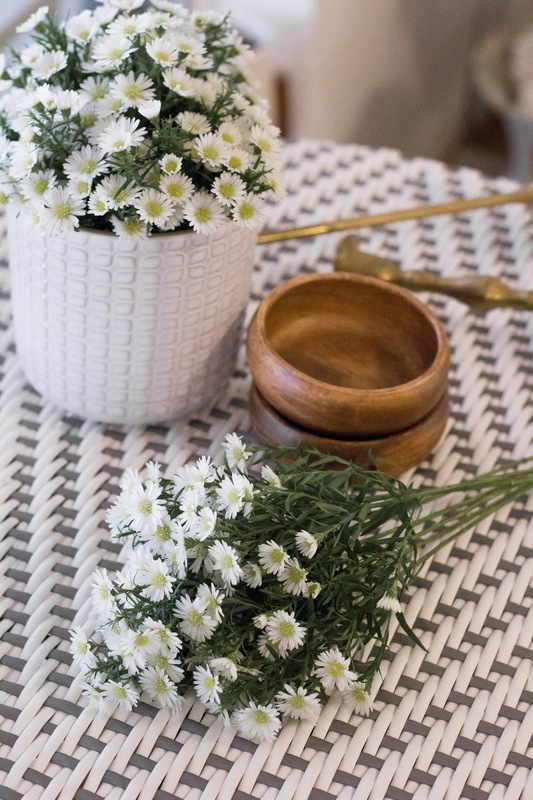 Natural wovens, like baskets and bowls placed in pairs, act as the perfect spot to house fall florals and small decorative pumpkins, along with fragrant herbs & fruit (pears and apples). Plaid was a big thing last year, but this time around, I'm devoted to stripes of every size. There are so many variations of the classic stripe, seen in modern prints and vintage fabrics - it's hard to settle on just one! 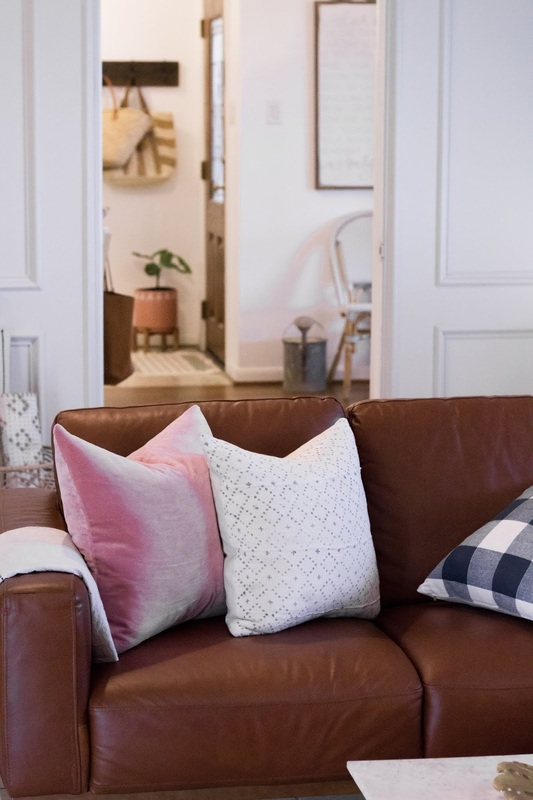 I've made it a must have detail on my list because striped pillows layer and transition seamlessly into Thanksgiving and Winter holiday decor, that follow soon after. Score! Bring the beauty of the outdoors in by inviting festive wreaths and foliage into the places we like to cozy up in. Wreaths gladly take the spotlight as the focal point of a room and also serves as a large wall art piece to be admired. As an idea to pass along, I made a gallery wall of smaller wreaths last year that turned out pretty amazing! 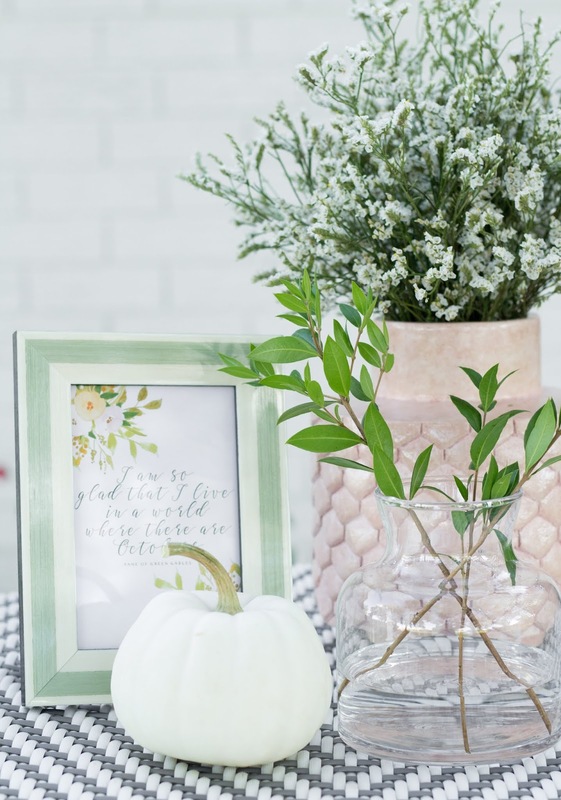 It's creative and a bit unexpected, that will leave visiting guests swooning over your Autumn decor! 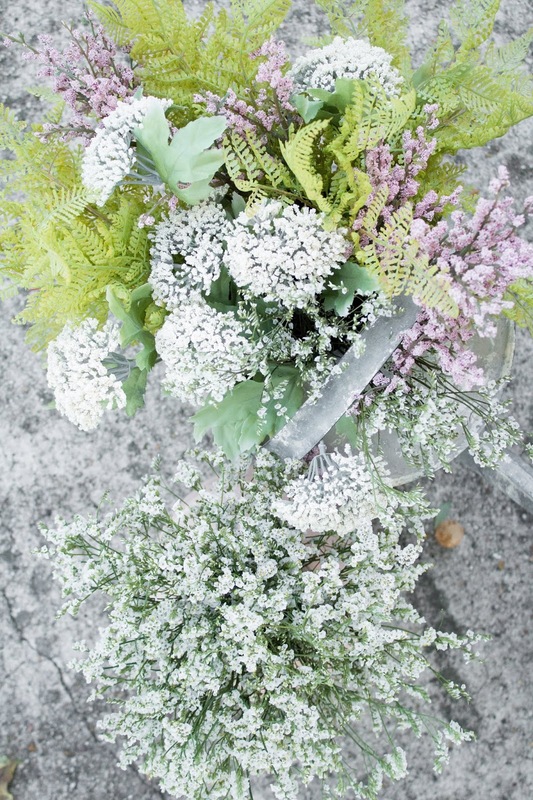 For Autumn foliage, trying searching for fluffy mums and hydrangeas, decorative kale (my favorite), and filler flowers that resemble wildflowers. Display them indoors using ceramic vases and create an effortless arrangement in pots outside. Adorn them with fresh pumpkins to complete the ambiance of a beautiful Autumn season. 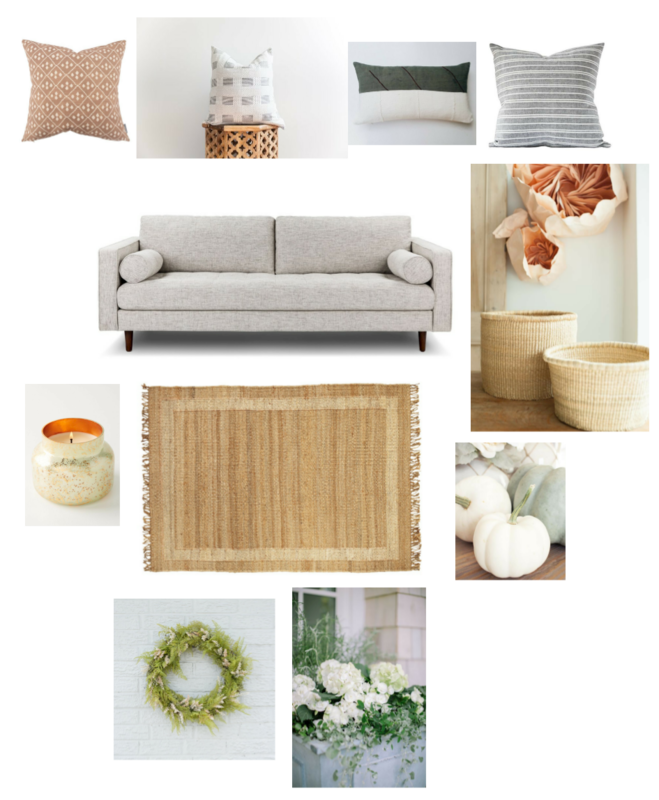 What's your decorative style for Fall? 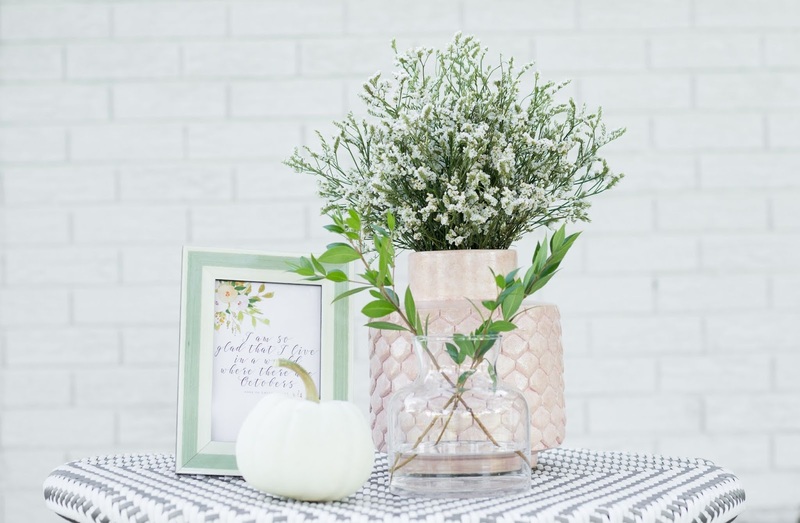 Are you a cozy minimalist, a Autumn Queen, going above and beyond with festive decor or somewhere inbetween?! I'd love for you to share your fun responses in the comments below! Friends, is the the work week actually over?! I can't believe what an eventful few days it's been, coming back from a 3 day weekend. Did anyone else need two cups of coffee everyday this week, just to push through the afternoon? 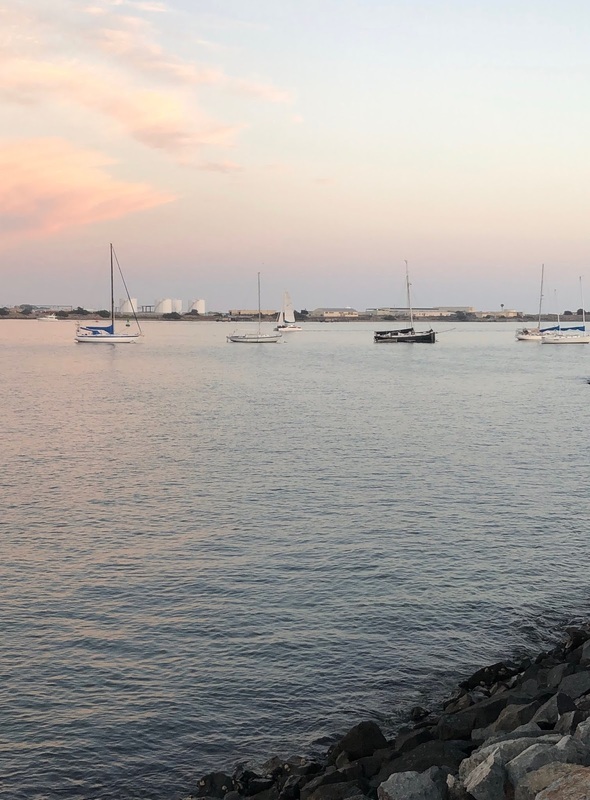 Maybe it's a combination of myself wanting to stay in Summer vacation mode, which you can't blame me for or maybe it's trying to re-adjust to an early morning schedule with the kids back in school again. Overall, I'm happy to take on the busyness and look forward to new changes taking place in the coming months. Stay tuned for more details in a lifestyle post coming soon. 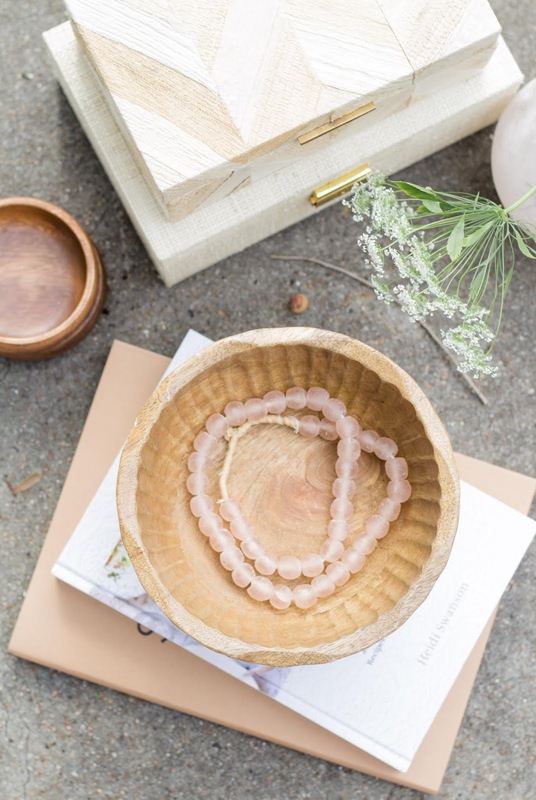 If you'd like to follow along on my instagram stories, to see what's been keeping me occupied lately in my neck of the woods, I'd love for you to stop by and visit! Onto the pretty things! 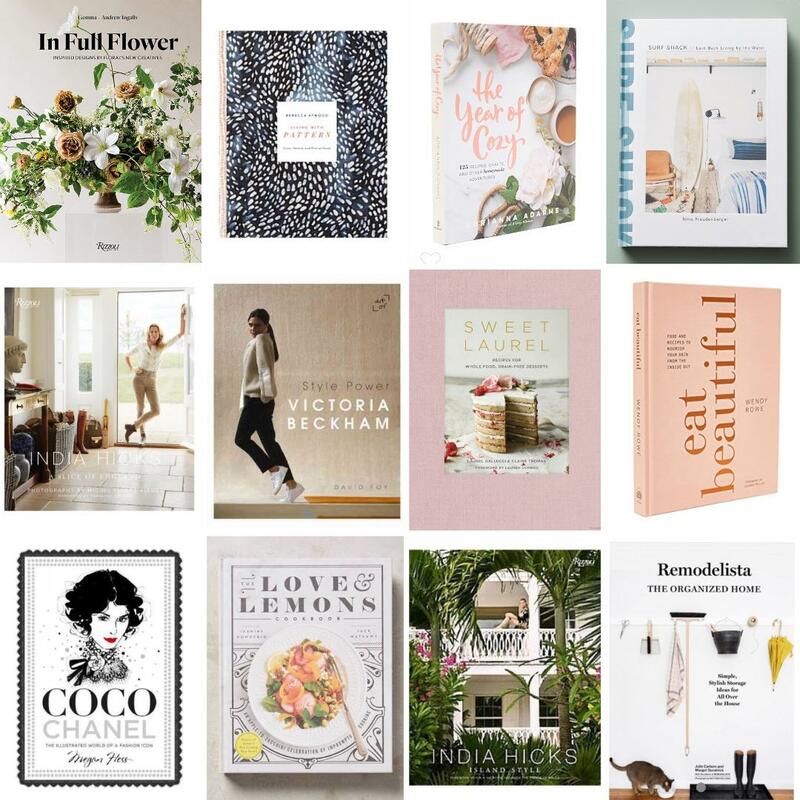 In mid-Summer, I compiled a list of all my favorite books, perfect for coffee tables and bookshelves, seen here. 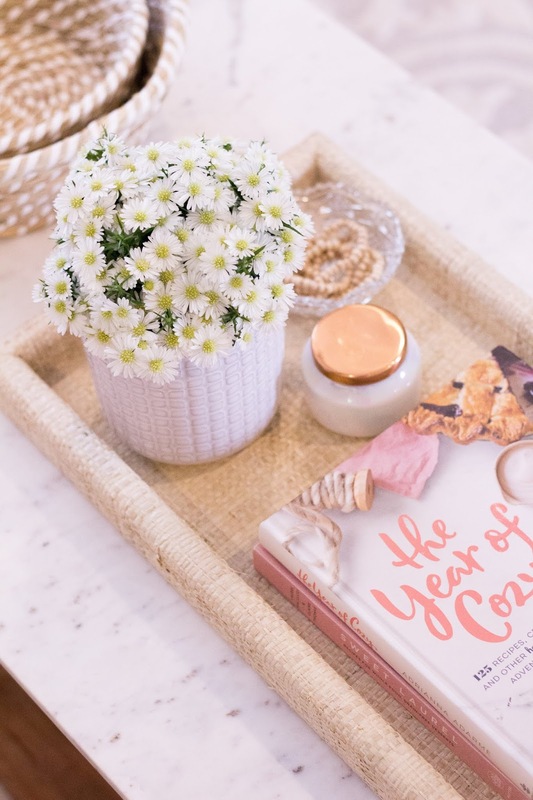 Books are so multi-functional: they're great for creating different levels in design, they act as an inspirational read for guests and yourself, and are basically your all around decor filler when you're not sure what to add. Alongside these gems is another detail with the same purpose and you've guessed it ... it's journals and notebooks. 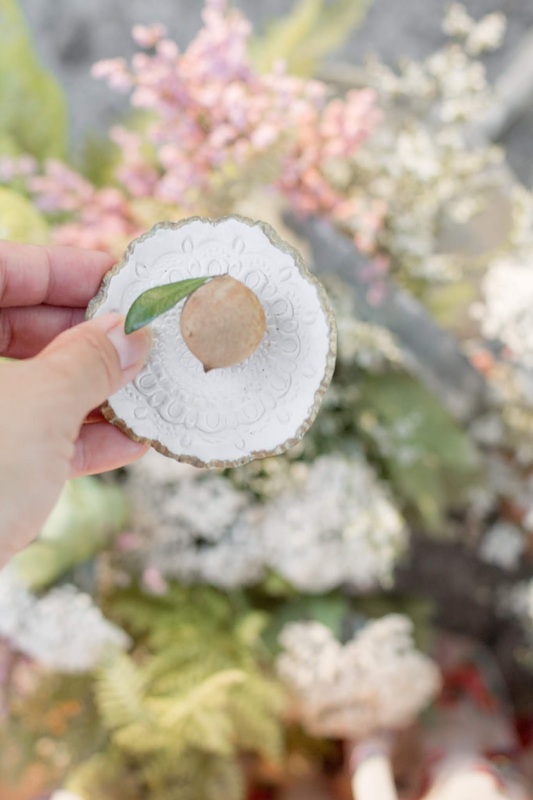 They really add a thoughtful story to the little vignettes you set-up around your home. 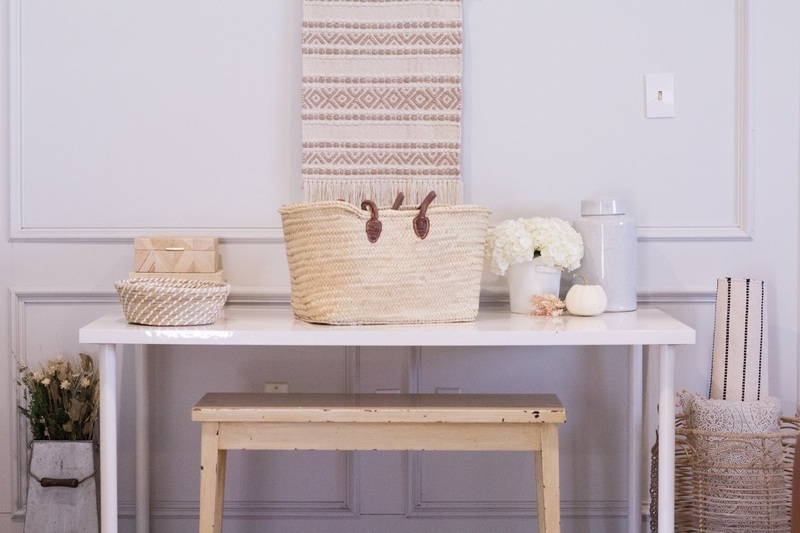 Think bedside and accent tables, and work desks. 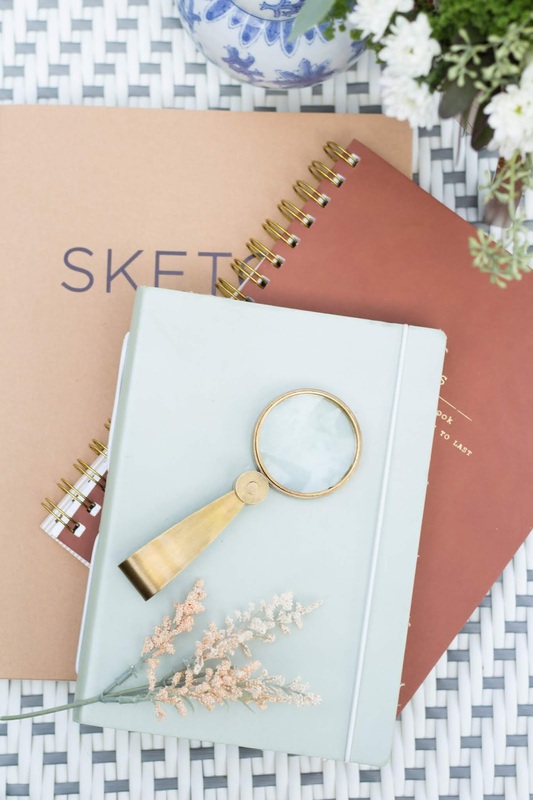 Give this a try: Stack a pair of two journals in your favorite color scheme with a Fall candle to embrace the upcoming season. For a work desk, rest a large open bound journal laid wide open, to set the scene for a space of reflection and creative thinking. 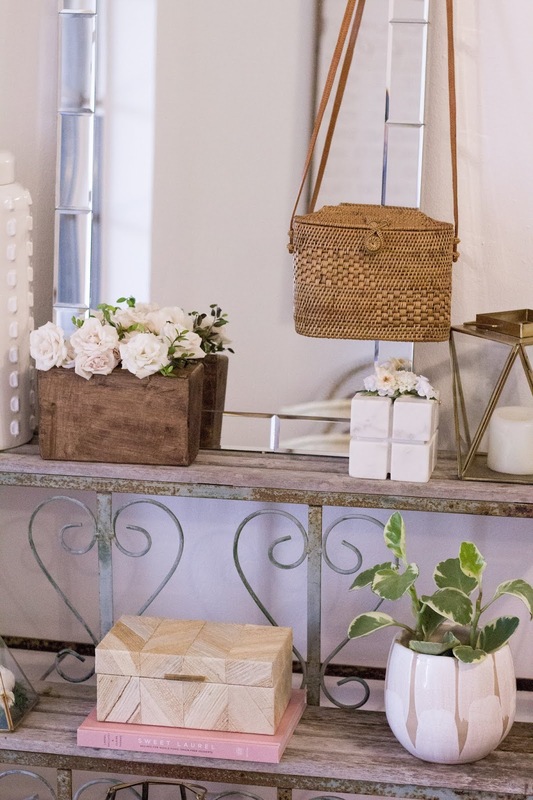 You'll find that there are so many pretty options out there, from leather to floral patterns, and fabric covered. They're all so lovely! 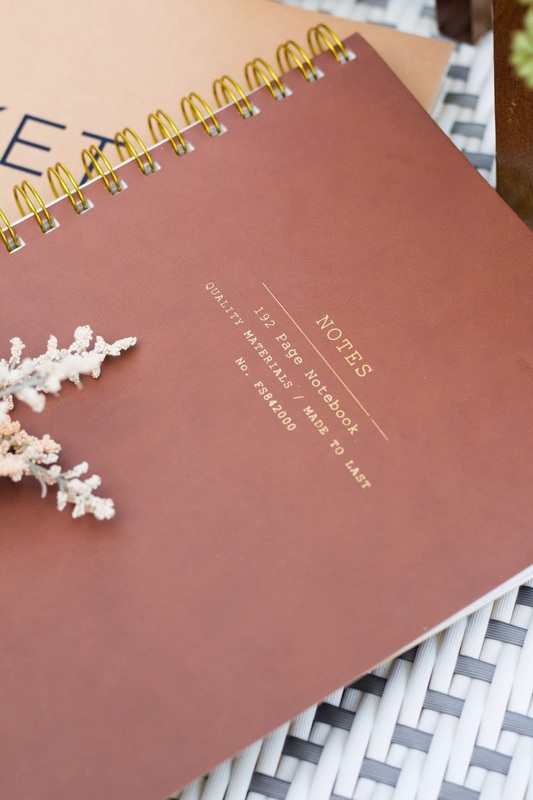 Here are some ways to create beautiful vignettes around the home using journals & notebooks. I had a lot of fun creating these for you while listening to my favorite tunes in country music. What type of music calms you after a busy week or even sparks your creativity to soar with ideas? I'd love for you to share in the comments below! 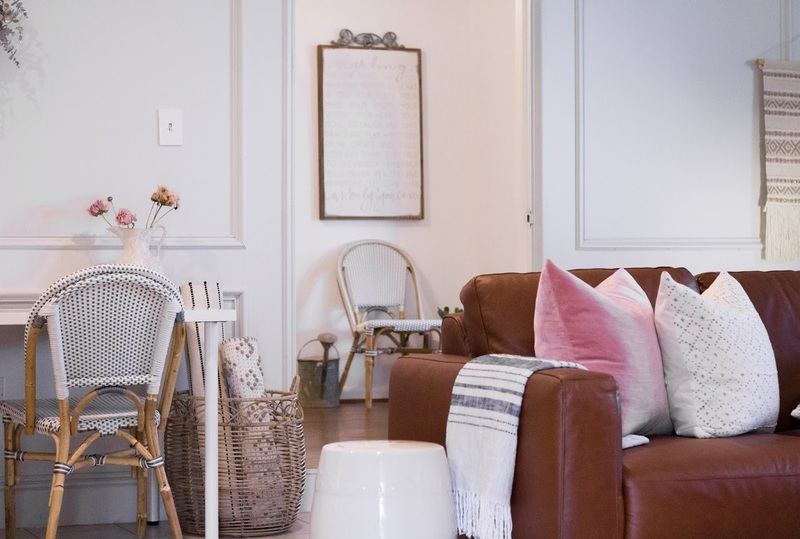 Enjoy spending a little time styling your home this weekend and thanks for stay awhile! 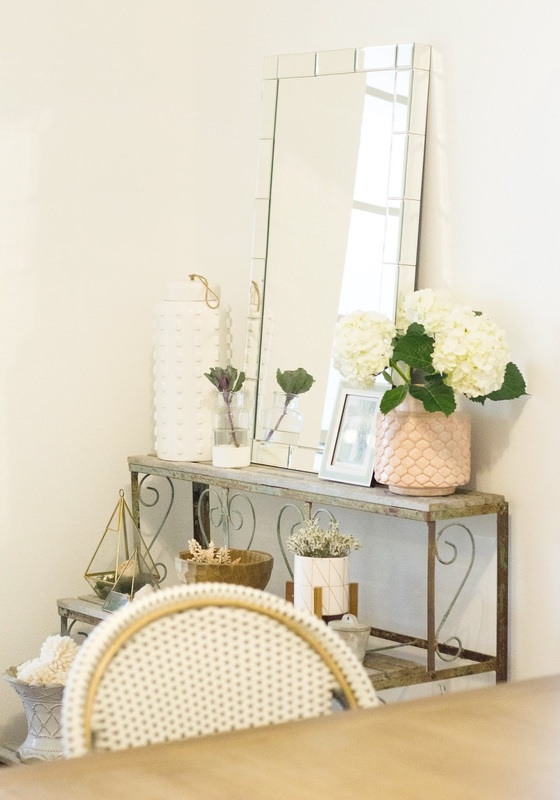 Let's chat all about white paint today! 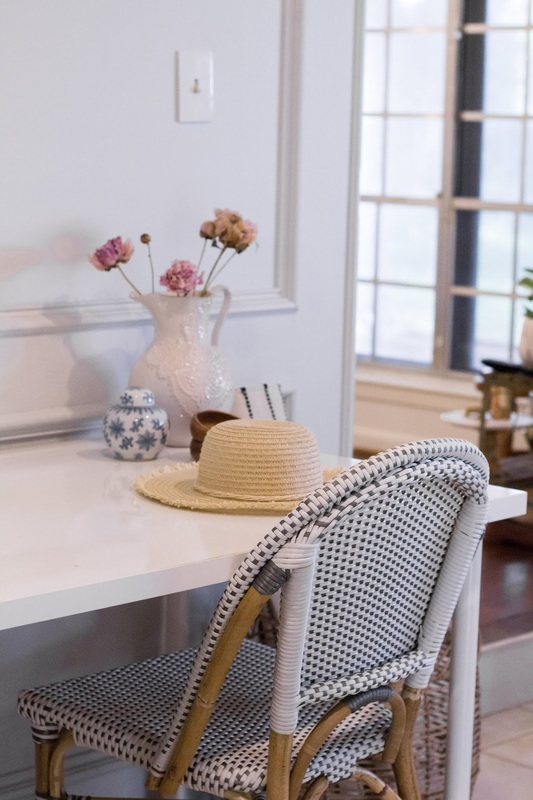 White paint has been in high demand this past year, as people have been looking for new ways to brighten up their homes. Especially with our busy and complex lifestyles, we are looking for a sense of calmness and serenity in the place we come home to. 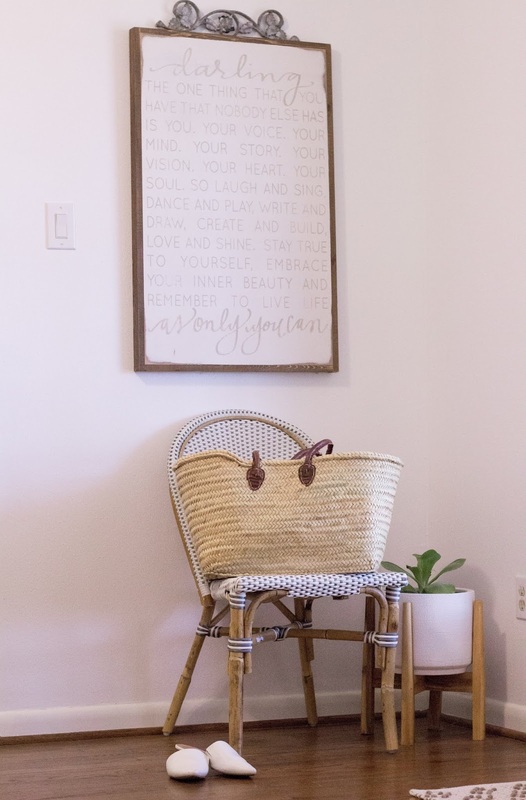 I remember first falling in love with white walls, after searching through home decor magazines that featured Parisian apartments. I was still in college and signed a lease on the cutest little apartment that had a Juliet balcony. So of course, this romantic detail fell right in line with the beauty of a neutral color palette, the French so effortlessly mastered. Neutral wall colors, like whites and soft grey's really gives you the freedom to play around with pops of color in a room. 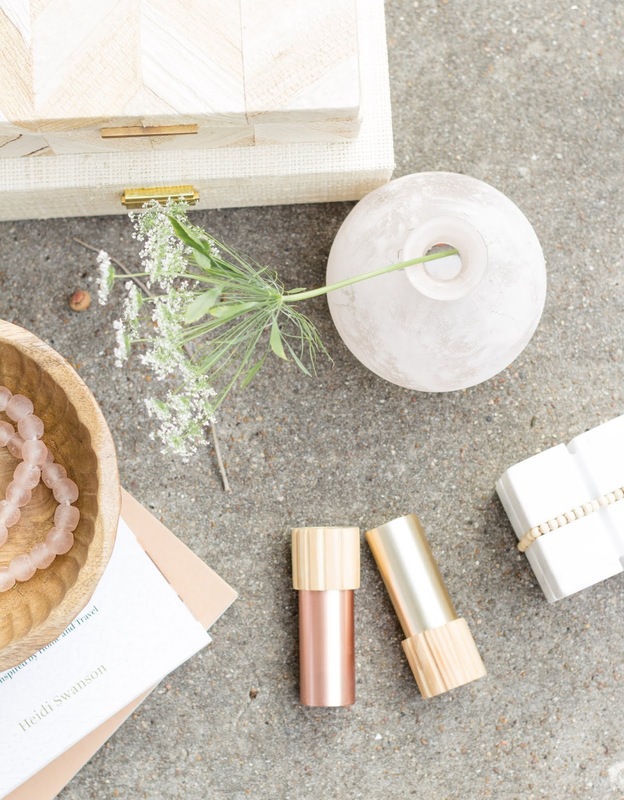 It's a fun process to focus on the details, like texture and pattern, leather and brass pieces, along with your favorite colors - knowing that you can switch out a look anytime you have a change of heart. 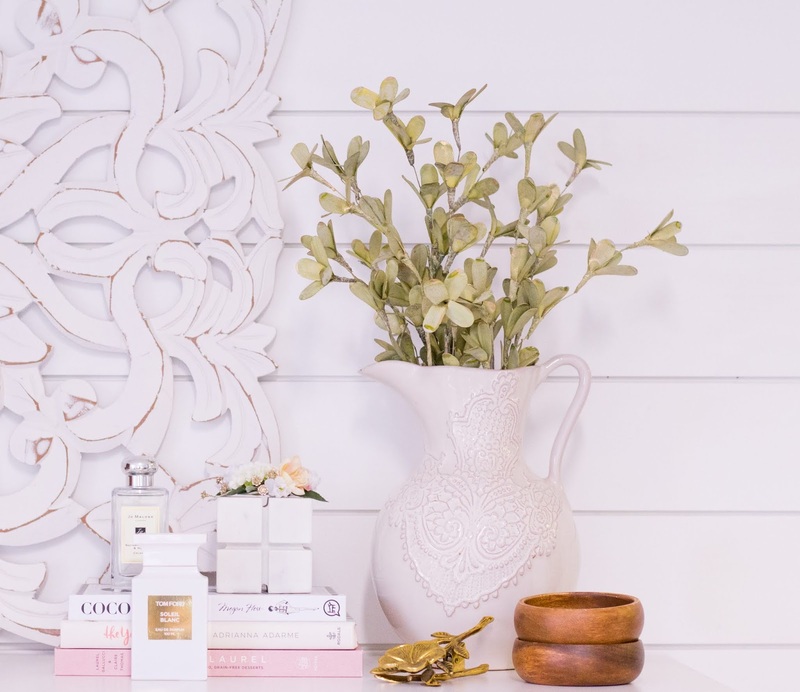 Plus, if you've been wanting to incorporate shiplap, board & battan detailing, and wallpaper, white so brilliantly gives focus to these details. So, is it easy as going to your local hardware store to pick up a can of white paint?! Selecting the perfect white paint can be more difficult than it sounds. With tons of swatches to run your fingers through, varying hues, and finishes to choose from, it might leave you feeling overwhelmed and confused. To top it all off, what may look beautiful and bright in one home, might not look it's best in another. Over the years, I've freshened up the homes we've lived in with paint and I've narrowed down my favorite hues of white to work with. 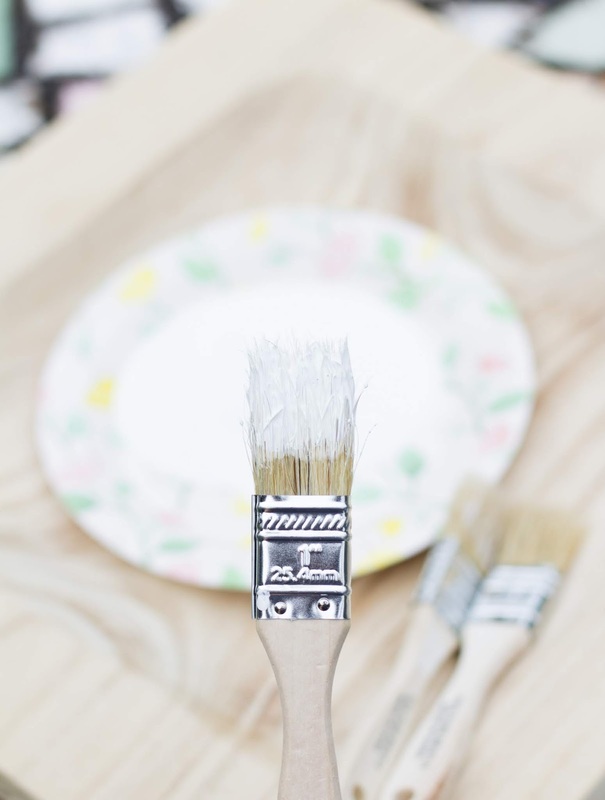 So, if you're wanting to bring new life into your space, the best way to do it is with a beautiful coat of white paint! Bright & crisp white, without being too stark. Best for a warm white-grey exterior. Think French Country! If you have a well lit space that takes in a lot of natural light during the day, then soft and warm whites will be great options to consider. I reserve crisp whites in areas that need more light and to create the illusion of a larger space, such as in small bathrooms. Keep in mind that the colors may vary on the swatch chips versus what will translate on the walls. I've noticed this quite often with Sherwin Williams paint colors. So, I really like to use large card stock paper (like this) to paint 2 coats of the color, so I can get a true representation of what it will look like in the space. My best advice is to compare the colors during the day and evening, considering the lighting you have in that particular space during all times of the day. Lighting makes a huge difference! It's true color: If you are painting over a dark wall, consider applying a separate primer to begin with. This will help you achieve the true white you are going for. 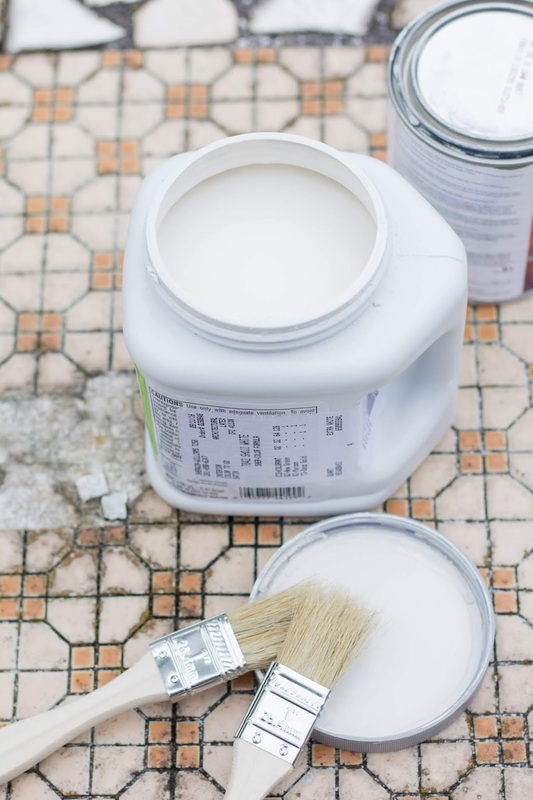 If you skip this step, regardless if the paint has a built-in primer already, 3 coats maybe what is required to keep the darker paint color from peaking through the newly painted white wall(s). My finishes of choice: I typically like to use an eggshell finish all around because it's a nice balance between matte and satin finishes, and it's easy to clean. For trim, doors, and wood paneling, I like the look of a satin finish for dimension. Want to create the illusion of taller ceilings: Paint both your walls and trim all the same color and finish. It's modern and streamlined. I hope this guide helps you select the right shade of white for your space and have fun experimenting! There's something about white dresses that I really enjoy wearing during the warmer months. 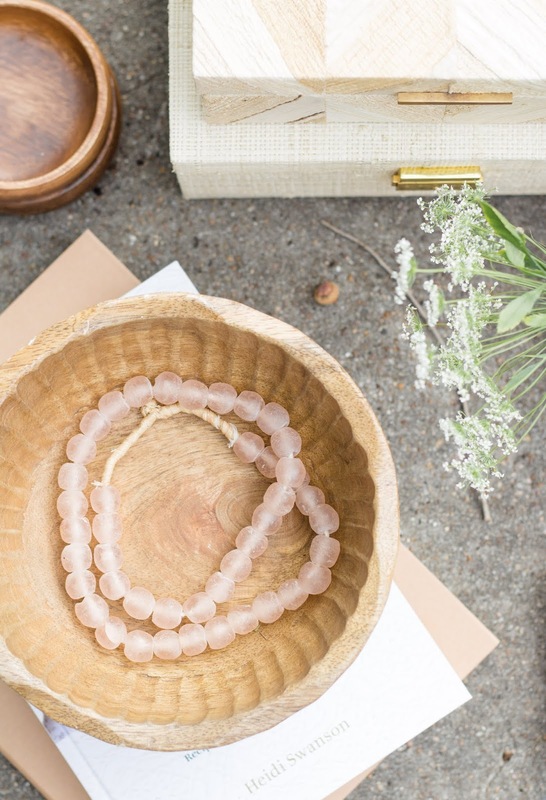 It's an instant companion to all my woven accessories and works as an effortless option for any occasion, big or small. Understated, yet dreamy, it's the elegant details that really make a white dress shine! Eyelet lace, ruffles, pretty silhouettes, and more. It has truly become a well loved piece in my wardrobe that I keep reaching for year after year. 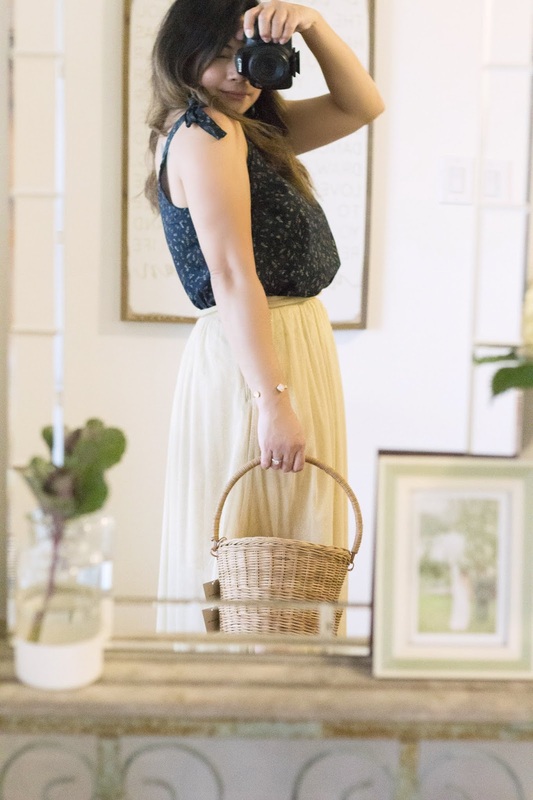 A regular routine of mine includes running around between work projects and the kids activities during the weekdays, so having looks that require little effort to put together is something I really appreciate. You can catch me wearing a white ensemble with casual lace up sandals and wedges for a bohemian inspired look. 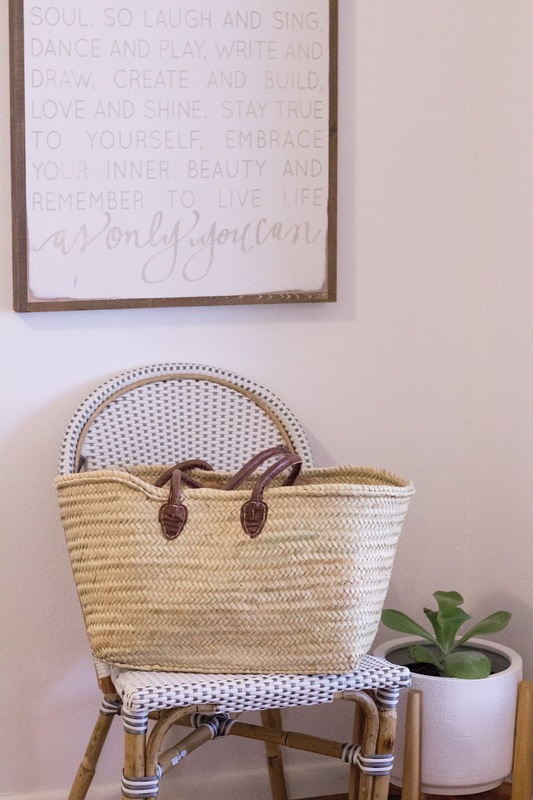 And because it's a blank canvas for color, I like to play around with accessories with a beautiful pair of drop earrings, a market tote like these, here and here, and a wide brim straw hat when we're out exploring or having a picnic during sunset. 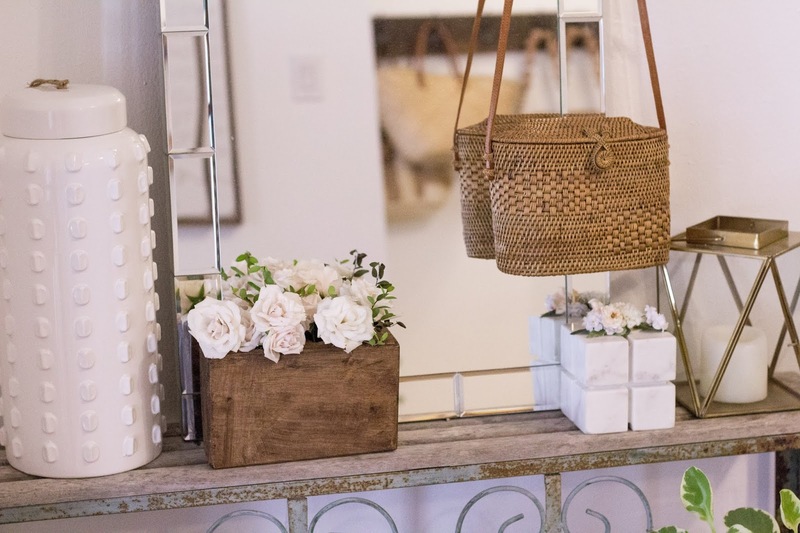 I put together my favorite dresses in all shades of white that are gorgeous for the season! There's even a top/skirt combo if you want to add more versatility to your wardrobe. Enjoy! Welcome to a new week friends! 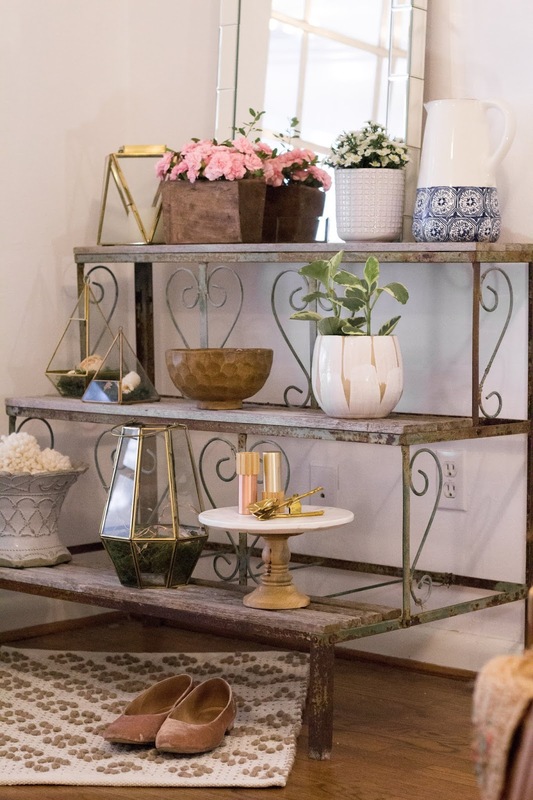 As I continue to beautify my home for the season, I wanted to chat about another element in design that can amp up your space within the blink of an eye .... and that's with decorative books! 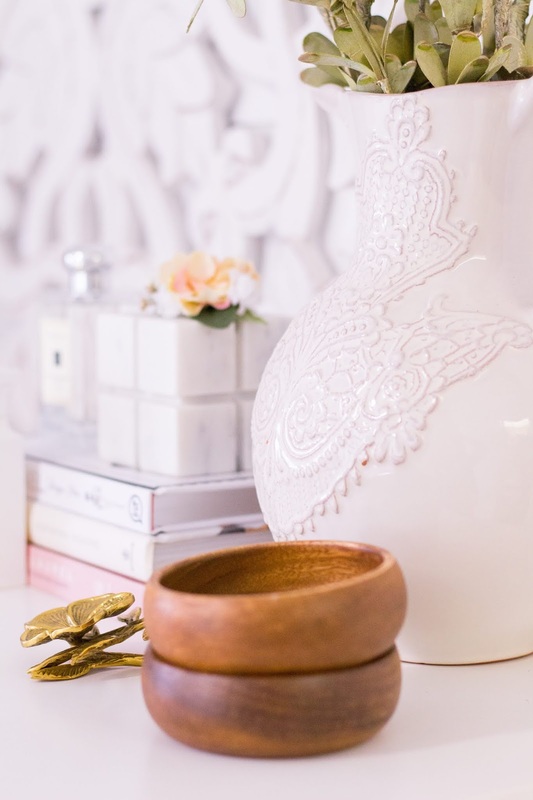 Regardless of where you place them, your coffee table, bedside table or use them to showcase your favorite perfumes, they are a simple decorative element that works with any and all spaces. Personally, I like to select books with neutral illustrations and photography on the cover and spine, which includes colors like white, black, beige, and (yes) blues and pinks. It makes coordinating your books simpler when stacking them in groupings of 2 or 3. So, how do I like to style them? Stack books flat on coffee tables and when using them as a platform for decorative objects ... always remembering to place the largest book on the bottom, followed by smaller books leading to the top. 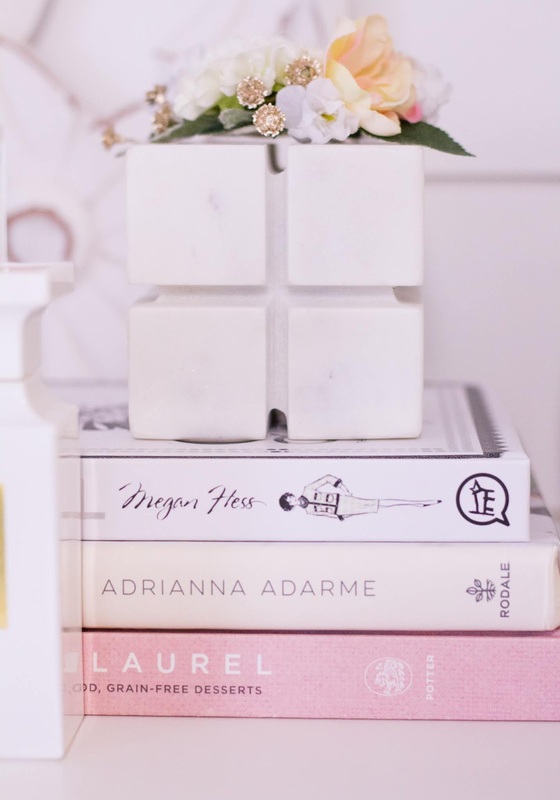 It's also a lovely look to display a small group of books standing tall between beautiful bookends (like this marbled one I have at home) or against a pitcher vase on a bookshelf. I selected some of my favorite hardcover books I like to decorate with in the genres of style, floral design, and in cooking. So, take your pick and happy shopping! 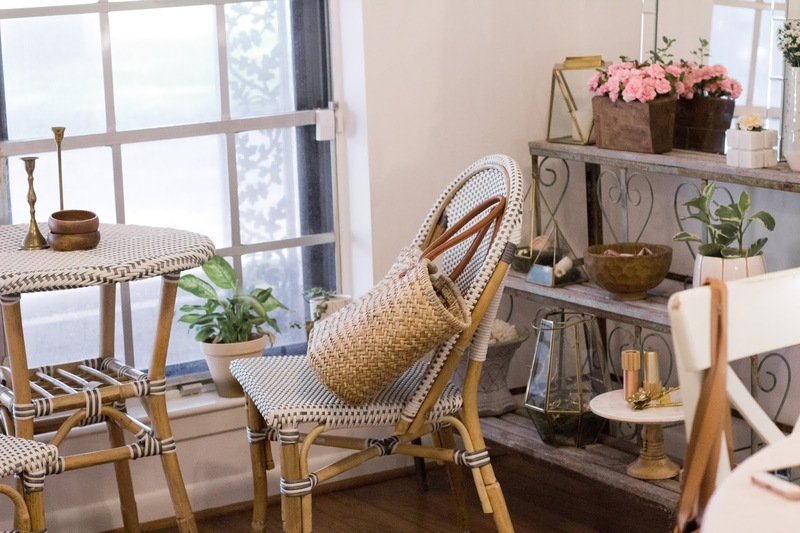 For the past couple of months, I've committed myself to finding new ways to refresh the home. 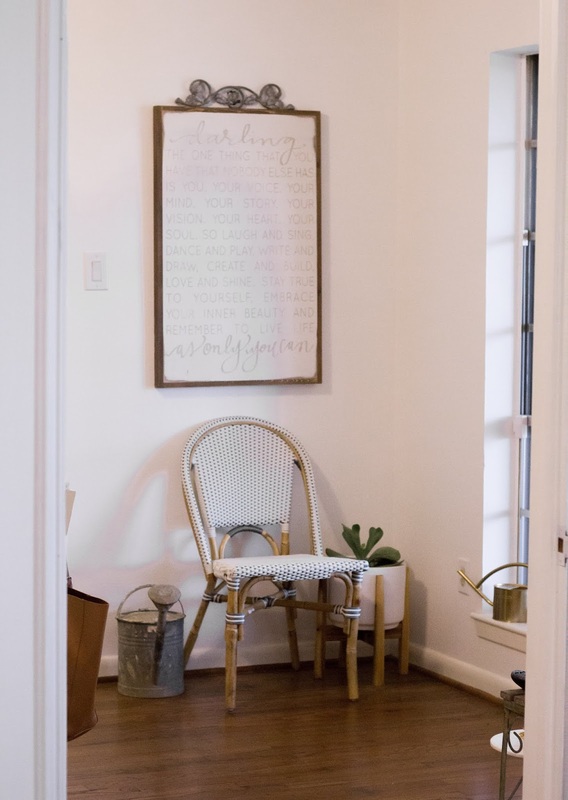 I try not to steer far away from my Anthropologie inspired space, but overall I think I've created a beautiful mix of eclectic finds, both old and new that somehow all work together. 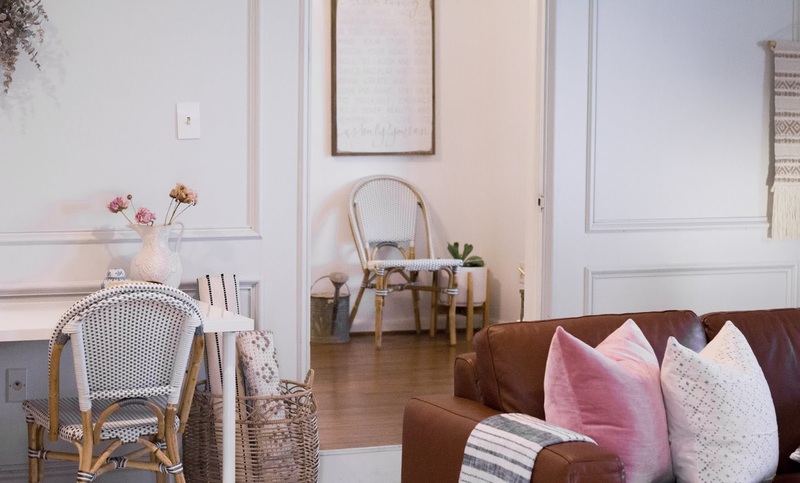 Romantic hues of blush and soft neutrals, woven textures, and gleaming brass accents, stay the main focus throughout, but I've introduced a bit of Summer into the house with a splash of blue. 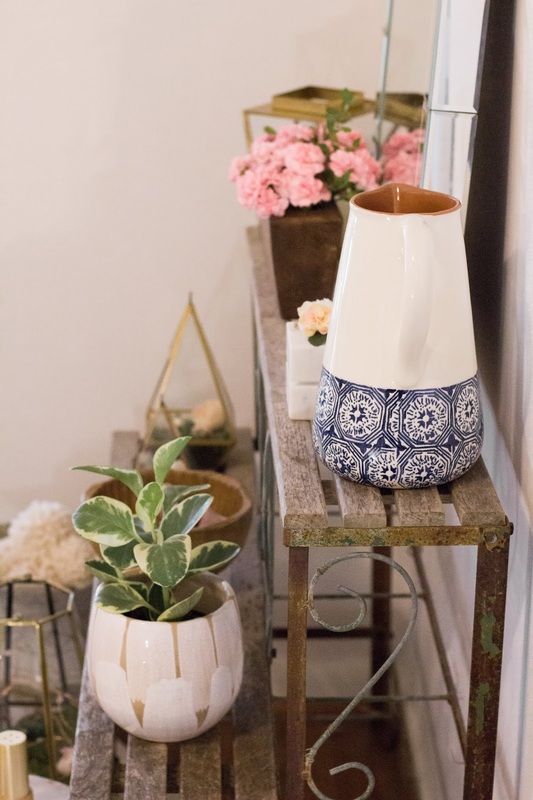 It's a pop of coastal vibes that I'm missing from my home state of California and it's perhaps my way of keeping a piece of home right here in Texas. I've added a few new additions so far, nearly all on sale, which is how I like to shop most of the time. 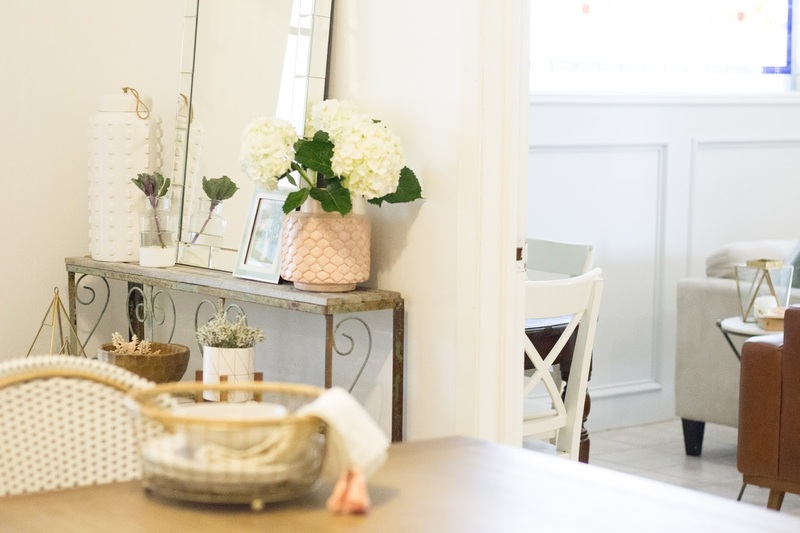 Of course, there is the occasional splurge, but because I like to change things out pretty frequently, keeping my purchases budget friendly is the smart route to go. Plus, it gives me the freedom to swap out my decor with the seasons. We purchased a mid-century leather sofa that I'm head over heels for, as well as changed out our bedding for something light and airy. 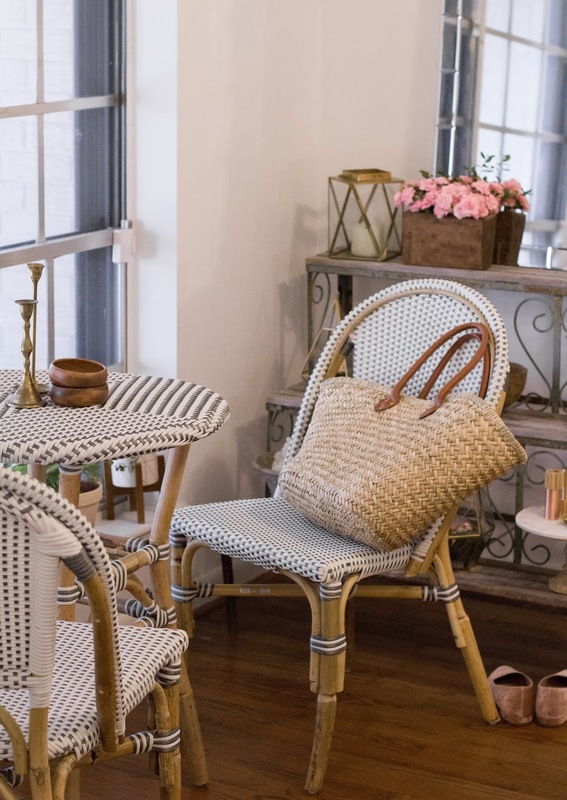 I also added a few decorative items in white and natural finishes, and recently added a touch of Paris into our home with a beautiful woven bistro set. 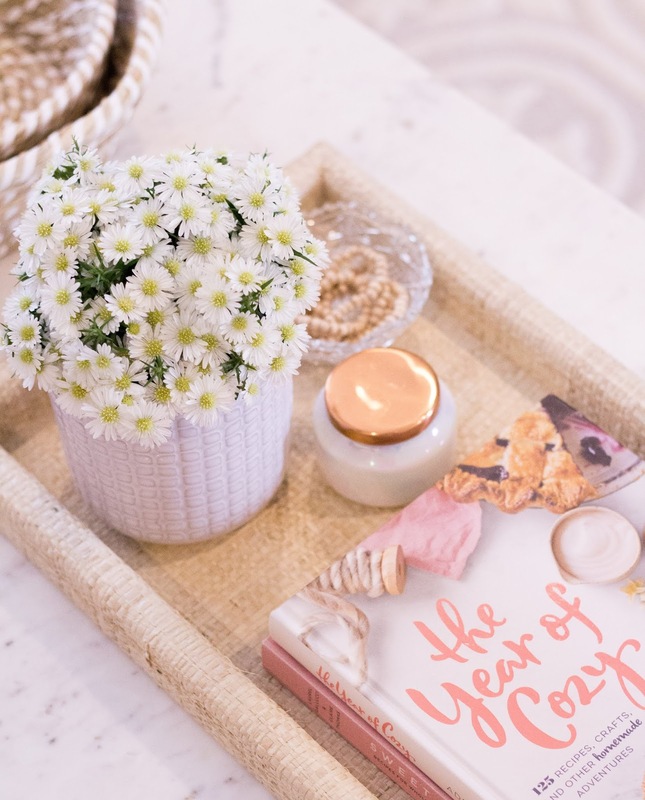 Creating a new and fresh space to welcome Summer in can be simple and easy with the right direction. 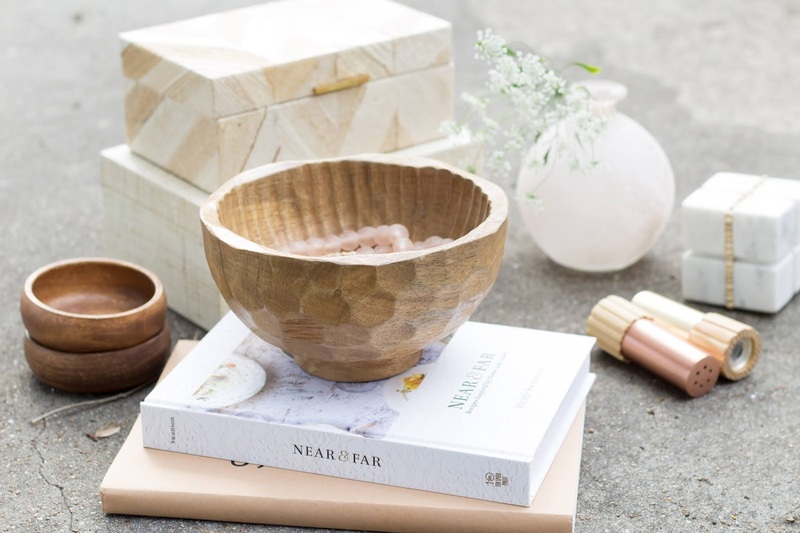 These are all items that will beautifully transform your home into a light, airy, and inviting oasis. 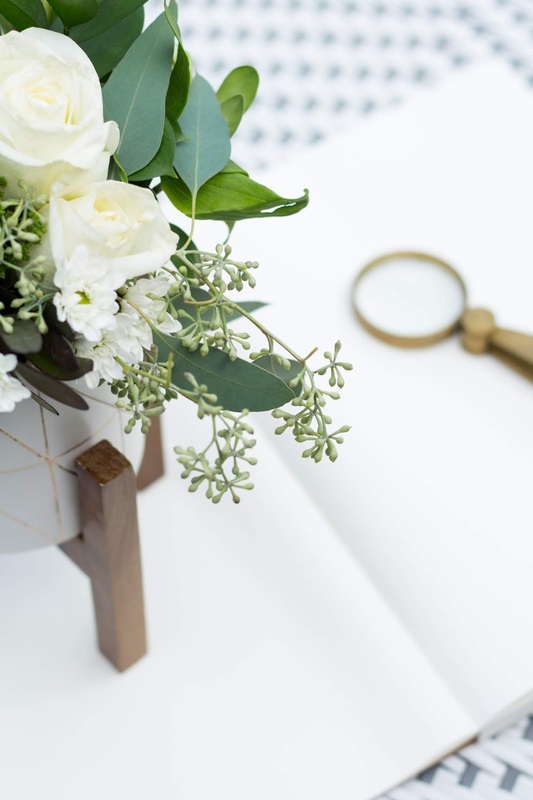 Try to concentrate on the heavy traffic areas of your home (living room, dining room, entryway, etc...) and finish everything off with fresh blooms and indoor plants to breath life into your newly inviting space. How will you be updating your home this season?